Many Los Angeles and Southern California business leaders are still struggling to maximize their companies’ financial performance, despite some promising signs indicating the national economy may finally be turning the corner. Often, these companies turn to their accountant or CPA for help in this area. However, there are limits to how much strategic financial help an accountant or CPA can provide to a business. While they have strong accounting backgrounds and skills, CPAs do not usually possess strong finance or operational skills. More specifically, CPAs specialize in reporting historical financial data, or what has already happened — not in providing strategic financial planning and assistance that is forward-looking. Additionally, most CPAs specialize in preparing external reports for bankers, investors, shareholders and other stakeholders. They usually are not as skilled in preparing the kinds of internal management and operational reports necessary to help companies maximize financial performance. In most instances, CPAs do not possess the high-level, strategic financial expertise required to help small business owners and executives deal with their most pressing financial challenges. For this kind of strategic financial and operational help, owners and executives are usually better off seeking the assistance of an outsourced CFO services provider. 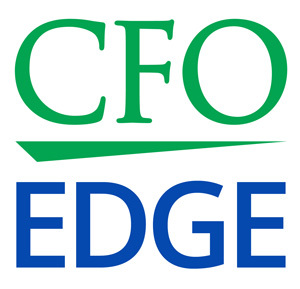 However, many CPA and accounting firms today are branding themselves as providers of outsourced CFO services. The names vary — part-time CFO, temporary CFO, contract CFO, virtual CFO and CFO for hire are a few. Whatever the name, though, it’s important to make sure that any firm you hire to provide outsourced CFO services is equipped to offer strategic, forward-planning financial advice and assistance, not just historical financial reporting. This includes helping you implement performance measurement tools like KPIs, business dashboards and balanced scorecards. A provider of outsourced CFO services should be able to look beyond the numbers themselves and help you apply them to specific situations in your business by tying them into non-financial and operational measures. There’s no substitute for practical, real-world experience when it comes to delivering strategic financial consulting. Therefore, any outsourced CFO services provider you consider hiring should have served as an actual formerly-seated CFO at a real business. Candidates should have experience in high-level financial and operational activity that improved their company’s financial performance and led to long-term, sustained growth. This includes both financial and operational experience, as well as corporate financial strategic planning and non-financial operations design, deployment and management. An outsourced CFO services provider should bring a holistic approach to your business that will help optimize both accounting and financial efficiency, as well as improve efficiencies in non-accounting and non-financial areas of your business like human resources, legal, IT, banking and insurance. Ideally, an outsourced CFO services provider will also have practical experience working at a business (or businesses) in the same industry as yours. This will enable him or her to share industry best practices with you and your management team. The outsourced CFO services provider should also have strong management experience in order to work with sales, operations and management/ownership to demonstrate how the accounting and finance functions can help everyone work together better. Is there a strong support staff working behind the scenes to provide assistance to the outsourced CFO services provider you will be working with? If this individual leaves the firm or is unavailable to you for some reason, will another equally qualified consultant be ready to step in and take over? These are required in order for an outsourced CFO services provider to offer the high level of strategic financial management required by businesses today. Make sure that any potential provider of outsourced CFO services you’re considering has adequate tools and processes in place before hiring them. CPAs serve a valuable role in reporting historical financial data and preparing external reports in accordance with Generally Accepted Accounting Principles (GAAP). However, outsourced CFO services providers and CPAs are not the same thing. In most instances, CPAs do not possess the high-level, strategic financial expertise required to help small business owners and executives deal with their most pressing financial challenges. This makes it important to carefully investigate the credentials of any firm or individual that claims to offer outsourced CFO or financial consulting services.